Swollen eyelids are often a symptom of an underlying problem or a reaction to allergens, bacteria or viruses. These, however, are things you should not ignore in order to avoid further complications. Insight Vision Center Optometry, a scleral lenses specialist, lists four reasons your eyelids are bulging. This eye problem, also known as pink eye, is characterized by the inflammation or swelling of the conjunctiva, a thin, transparent layer of tissue that lines the inner surface of the eyelid. Conjunctivitis may occur due to viral or bacterial infection. It may also develop due to an allergic reaction to pollen, smoke and other eye irritants. Apart from the swelling of the eyelids, people with pink eye may experience pink discoloration of the sclera and eye discharge. One of the hallmark signs of a stye is a tender, red bump near the edge of the eyelid. This, however, may occur at the base of the eyelashes or within the small oil glands within the eyelid. You may be tempted to squeeze your stye due to its pimple-like appearance, but doing so may only make things worse. Normally, a stye heals on its own, but if it doesn’t get better after a few days, visit your local vision therapy specialist or eye doctor. Chalazion appears as a benign, painless bump inside the upper or lower eyelid. It’s caused by healed internal styes that are no longer infectious. The nodule contains pus and blocked fatty secretions, which are supposed to lubricate the eye. Swollen eyelids may also be due to allergies. Pollen, dust, pet dander, certain eye drops and contact lens solution may lead to swelling of the eyes when your immune overreacts to these allergens. 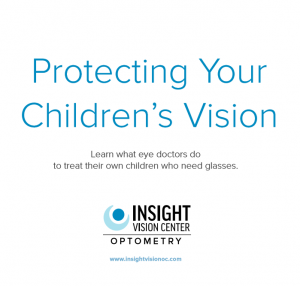 Count on Insight Vision Center Optometry for your eye emergency care. Our team provides vision therapy, orthokeratology and other forms of treatment to maintain healthy eyesight. Call us today at (714) 988-6179, or fill out our online form to schedule an appointment. We serve residents of Costa Mesa and Newport Beach, CA, and other nearby areas.